Here’s a beginning to what may turn into a few posts spelling out some WordPress terminology. As shared at the SJWP Meetup on June 5, 2017: WordPress Terminology: What’s a permalink? and other burning questions. Database: this is where all your content lives, hidden in the dark recesses of a web server. 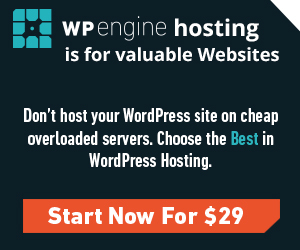 Your database consists of, at minimum, the 11 core tables that are required for a WordPress site. Themes: the theme of your site determines what it looks like. There are literally thousands of them. Popular places to find themes are the WordPress repository (available directly from the WordPress back end) and Themeforest.net. Frameworks: generally, a framework is a stripped-down theme that’s ready for just about anything you can throw at it. Frameworks extend WordPress core by giving you additional functionality. Coders tend to like frameworks because they take care of a bit of the drudgery for them and give them some features they’d have to create from scratch otherwise. Examples include Genesis, Divi, Dynamik, Thesis, Beans, and Gantry. If there’s one you know of that should be on this list, let me know in the comments. Plugins that offer shortcodes will usually have documentation that spells out what they do and the values that are supported. Oftentimes the plugin author has also added a button or two to the TinyMCE editor so you just have to click it and make a few selections so the code will be generated for you. WordPress has a tool called the Customizer that has been vastly improved over the last few versions (See Appearance -> Customize for this tool). With controls for general settings, header, footer, content, widgets, menus, and other aspects of your site, you can get a great head start on, well, customizing the look of your site from this one tool. Check out Settings -> Permalinks. This is where you define how those URLs are generated. You definitely don’t want the default choice, which is simply your URL followed by /?p=123, where 123 is the post’s record number in the database. This is terrible for SEO as it has no relation to the post’s content and tells search engines nothing about what’s on the page. There are several pre-mixed choices to select from, and plenty of theories about the best combination to help boost SEO. There’s also a set of structure tags you can use to customize them; I pretty much always use /%category%/%postname% – this gives you something like https://transmitstudio.com/wordpress/wordpress-terminology, the URL to this very post. According to the SEO experts over at Yoast, this is likely your best bet for impressing the search engines. I could go on for a long time coming up with WordPress terms and definitions, going deeper and more detailed until your eyes cross and I fall asleep typing, but I’ll save them for another post.